We heard rumors more than a week ago that the American Cancer Society (ACS) was closing down its Man-to-Man support group network, and now we can confirm that (effectively) this is the case. While the ACS has not actually shut down any of the Man-to-Man support groups, they have apparently withdrawn all support (financial and otherwise) for this program, and this will likely put most if not all of these regional support groups out of business. And so far the ACS has said nothing publicly about this decision at all. Supposedly letters advising individual Man-to-Man support group leaders were indeed sent out a couple of weeks ago. It seems regrettable to The “New” Prostate Cancer InfoLink that the ACS couldn’t have taken a rather more thoughtful approach to this decision. 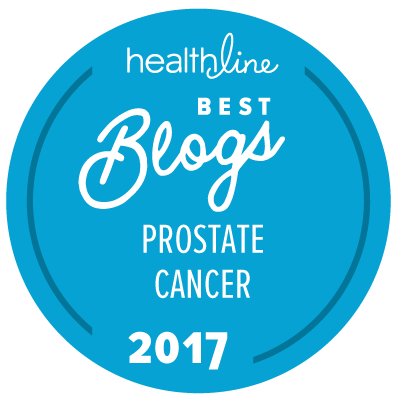 In particular, men newly diagnosed with localized and more advanced forms of prostate cancer are in serious need of help and support with respect to the options that are available to them. If the ACS does not want to be in the business of support group development and management, that is its decision, but to just “drop the axe” on groups that — at least in some cases — have worked hard for years to provide such services for men and their families, and to make no public statement about this decision, seems to us to show a significant lack of empathy on the part of an organization that claims to be in the business of supporting patients. For many years our group enjoyed joint support from Us TOO and Man-to-Man, but several years ago we found we were getting no resources from Man-to-Man. We continue to enjoy great support from Us TOO. I’m thinking it would not be hard for those Man-to-Man groups to convert to Us TOO chapters. Does anyone know why the ACS decided to do this? Dr. Otis Brawley, Chief Medical Officer of the ACS, has taken an essentially negative position toward prostate cancer screening for a long time, and I’m curious whether his view has contributed to the ACS decision to terminate support of Man-to-Man. All I know at this time is that Us TOO has been receiving a number of calls from Man-to-Man chapter leaders to see what can be done. However, while it may be easy to convert the Man-to-Man chapters into Us TOO chapters (something that ACS could have helped to facilitate if they had had any common sense), Us TOO is unlikely to have a large pot of money and other resources available to help to support those chapters in the short term. Basically, although cruel, drop dead! “Thank you for waiting. I was able to find that in the past few years the Society has seen a decline in the number of patients participating in these programs. Many of the Divisions now only serve a few hundred patients each year. As the enterprise set new nationwide program priorities, it was determined that it was not appropriate to commit limited resources to continue programs that have minimal reach and could be available through our online services or through other community/health organizations. Does the ACS feel that men don’t count when it comes to cancer? or is that prostate cancer is so insignificant it’s not worth the effort? “Helping the most people” translates into helping women with breast cancer — equal number of cases but a lot more vocal. And, in the end it’s about money coming in. We’ll just have to make our checkbooks talk. I learned of this about a week 10 days ago and immediately sent an e-mail to a few prostate cancer support lists recommending Man-to-Man groups contact our Us TOO headquarters for assistance in becoming a chapter in the Us TOO network. Many Us TOO chapters have small groups of men who meet regularly and there is no great expense involved. Of course, the Us TOO headquarters can always use monetary donations to help in providing material and support to their network of chapters. I served on the local ACS Advisory Board for several years and continuously challenged them over their ineffectual and frequently negative approach to fighting prostate cancer. Eventually, I was asked to leave because I refused to toe the party line. This has not been a prostate cancer-friendly organization for many years. When Brawley, who refuses to even test for prostate cancer, makes $1.2 million annually, and the CEO makes over $1 million, I have grave concerns about how their donations are applied. From what I understand, ACS has indeed shut down the Man-to-Man support groups. However, they still allow these groups to meet at ACS facilities. Not sure if there ever was appreciable financial support for the Man-to-Man groups, other than training for support group facilitators. As a survivor of prostate cancer and Chapter Leader for Us TOO Rochester NY I am continually appalled at the seeming lack of emotional, physical, and financial support being made available in communities nation-wide for men concerned about prostate cancer, and those who love or care for us. Isn’t it bad enough that decisions made by the United States Preventive Services Task Force in 2010 against PSA testing as a preventive measure for men are now resulting in greater numbers of men being diagnosed too late — when “cured” is no longer a word they will ever hear in their life? Now, another nation-wide organization: the American Cancer Society — has decided the “numbers” of men in need of cancer guidance do not justify a decision to provide financial support. They say the numbers of men attending their “Man To Man” support groups are minimal. Well, is it any wonder? After all, they provide so little support that in most cities men who could benefit from their support don’t even know the groups exist, let alone are being encouraged to attend meetings. I’m also confused about where they get their numbers from anyhow? In my limited research, it would appear widely known that the number of men diagnosed with prostate cancer outnumber the number of women diagnosed with breast cancer. In fact, most prostate cancer web sites make it clearly known that in the United States a man is 35% more likely to be diagnosed with prostate cancer than a woman is to be diagnosed with breast cancer. With all the funds being collected by the American Cancer Society from around the world, not to mention the high salaries paid their top executives for what is thought to be a “not for profit” organization, I view their decision to withhold financial support for groups of men affected by prostate cancer as criminal. Thus, the reason I championed the need for a local Us TOO Chapter in Rochester, NY. Our local chapter membership has grown from only two men with an “idea” in November 2012, to 100+ members in only 6 meetings. Our members attend and appreciate the monthly educational forums facilitated by local urologists and community health leaders. Members also volunteer to staff Us TOO information tables at community health fairs in under-served urban locations, as we attempt to keep local communities informed about prostate health while making it known that our support Chapter exists. In recent weeks, we have also organized a social “calendar of events” that may allow prostate cancer survivors and their life partners to get together outside of meetings for sharing personal stories. It is hoped this “sharing” process may help members to realize they are not alone when it comes to living with the results of surgery, radiation, urinary incontinence, erectile dysfunction, depression etc. I am very grateful to Us TOO International for their dedication to men surviving prostate cancer and am rewarded only by the sense that I know I am helping others to navigate a road less traveled and obviously not well-paved. For more information, please feel free to visit our website or just send us a message. If any group is interested, the New Jersey Self-Help Group Clearinghouse has a downloadable library of how-to’s on starting and running all types of support group.